Search engine optimization (SEO) is no longer a term that’s confined to the realm of “techspeak” — it’s gone mainstream! While the typical search engine is nothing short of a modern marvel – and one that has seen great advances – it cannot (yet) replicate the level of understanding that a human has for a webpage. SEO is the tool that assists these search engines in determining the content and relevance of each web page. You owe it to your website to utilize SEO. Without SEO, the harsh truth is that your site is an anonymous blip in cyberspace. You know that your website is the first impression of your business for potential clients and you have already put a great deal of effort into ensuring that your site is informative, attractive, and navigable. But, what makes your website stand out from the rest? The answer is SEO. Effective SEO will place you at or near the top of the results of major search engines (in case you’re wondering, Google owns about three quarters of the search market). In other words, SEO helps you to go from hoping someone finds you online to ensuring that they do. Users are already searching for the type of service or product that you offer; SEO nudges you front-and-center. Optimizing your site through SEO increases your visibility, your credibility and site usability. There are SEO tools that gather information in real-time about your visitors. With this valuable data, you learn about your target audience to accordingly adjust your marketing approach. You can also customize your products and services to meet their needs. A favorable user experience translates into repeat business and positive word-of-mouth for your brand. In short, SEO takes the guesswork out of your online presence. Your industry is competitive, and a scattershot approach to marketing your business online will never produce optimal results. And if none of this is enough to make you an SEO convert, here’s something that should stop you in your tracks: your competitors are likely using it already. SEO is the key that guarantees your brand’s online exposure, and LEAD Internet Marketing can take you to the SEO promised land. We’re well-versed in the latest SEO strategies, and we take a customized approach to each one of our clients. The key to this is taking the time to learn about your business and goals before crafting a plan of action. 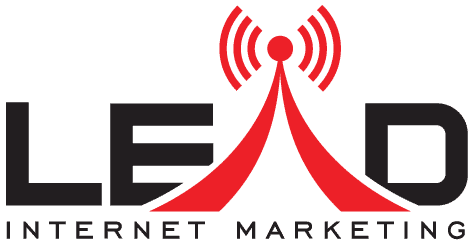 Contact LEAD Internet Marketing today to see what we can do for you!